Arachova is considered by many to be the “flagship” of winter tourism. There are not many who will disagree that Arachova comes “second” in certain areas. Its ancient history, its modern infrastructure and its magnificent nature create a unique environment. The village of Arachova itself is built on the side of Parnassos Mountain and is a unique site. It is neighbored with one of the best ski resorts in the country, that of Parnassos. The ski resort of Parnassos is one of the biggest advantages of Arachova, along with the ancient site of Delphoi that is nearby. 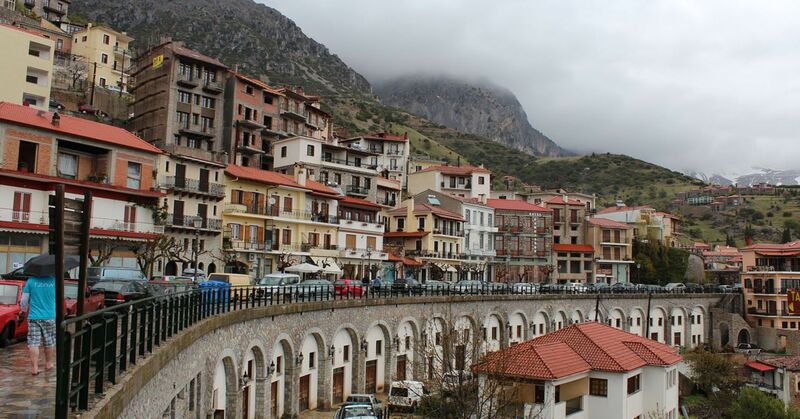 From the other side of Arachova there is the historical and tragic city of Distomo. The city is a symbol of the recent human history, since it suffered the horror of war. There are great monuments to show to the younger generations. Last but not least, the picturesque village of Antikyra, with its beautiful beaches, also adds to the beauty of the area. The intense folk tradition is still alive to this day. It is expressed through various ways, such as the famous Festival of Saint George, the traditional weaves of Distomo, the customs of the carnival and the delicious local products. Visit one of the most popular areas in Greece and discover its every little secret!